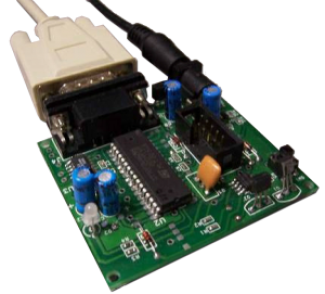 The ST7 ICP is an ST7 microcontroller-based programming platform. The ICP can be used as a desktop device for programming a target through the PC and also can be used as an independent, standalone device. There are three possible scenarios for programming the target device: first-time programming of the target from the PC, updating the target from the PC with revised software, and programming the target in Key Fob mode. * Refer to Application Note AN355 for a list of the products that can be programmed with this device.